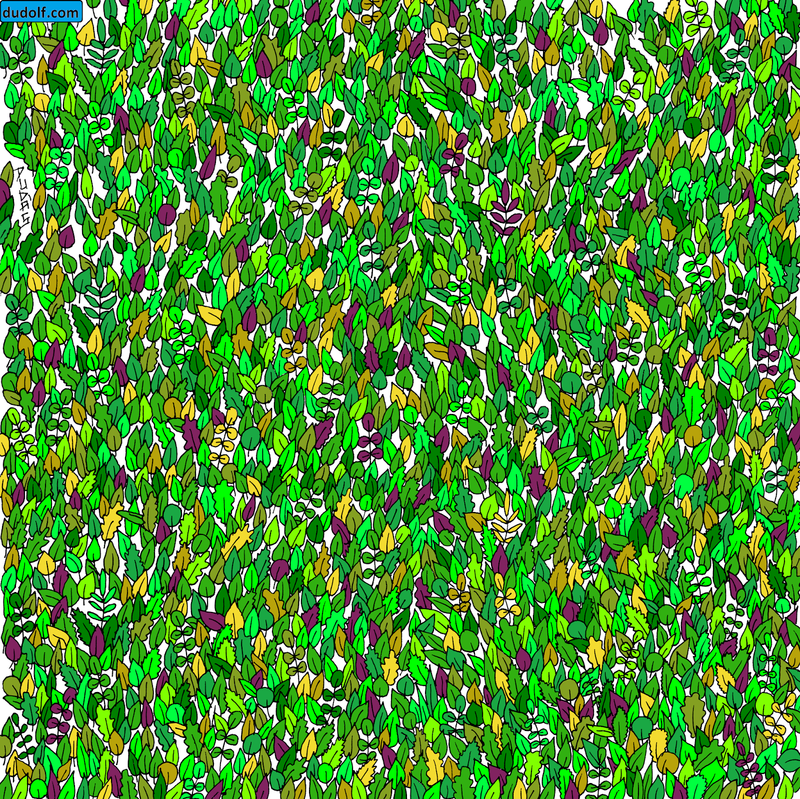 Find the frog hiding in the leaves! Several readers complained that the last two picture puzzles I posted were too easy, so here’s one that’s a little more challenging. I recommend enlarging the image. This entry was posted on Tuesday, March 26th, 2019 at 7:12 am and is filed under simple pleasures. You can follow any responses to this entry through the RSS 2.0 feed. You can leave a response, or trackback from your own site. 15 Responses to Find the frog hiding in the leaves! Finally! I had to embiggen it because I found my nose pressed to the screen, but once I spotted his tail it was easy! Took about two minutes at high mag. Wow, you’re good. It took me a lot longer. That took a little longer than I thought, but, yes, there is a frog in there! Fun! Found him (finally) Took about 2 minutes since when I embiggened the second time it took me that long to realize the entire pic was not on my monitor. Found him. Hard to see in normal view (even knowing where he is, he’s hard to spot in normal view) so I opened in large view and started a pan-and-scan, found him after a minute. He is very hard to see in the normal view. My hat is off to anyone who was able to find him without enlarging the image. Confine your search to the lower half of the picture, right hand edge. Even after finding this froggy, he is difficult to spot after restoring the image to normal size. Tail. I don’t see a tail. Are you sure that you found the frog? I agree. Frogs don’t have tails. Tadpoles do, but not adult frogs. Anyway, what I found is a head peeking out.